Designed to develop children’s physical skills of agility, balance, co-ordination and climbing, through the use of brightly coloured Tumble Tots equipment. The programme is structured to develop children’s positive personality traits including confidence and self-esteem. There are different classes for different ages. 6m to walking: with parent involvement, each 45 minutes session helps to stimulate and encourage babies to use all their senses, gently and without pressure. Playing, exploring, crawling and learning together in a fun and relaxed atmosphere. Walking to 2s: now that your child has started to walk confidently they will attempt a varied range of tasks on various pieces of equipment improving motor skills particularly in balance and co-ordination. 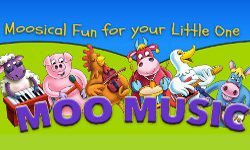 Your child will also be introduced to nursery/body identification ryhmes and action songs helping towards language development. Again with the assistance of parents/carers, the classes gently stimulate body awareness and encourage the confident walker to attempt climbing, jumping and rolling. 2yrs to 3yrs: By now your child should be moving more confidently and their physical, social and language skills will have developed rapidly. As your child now starts to develop listening skills, the 2 – 3 year class is structured around ‘activity stations’ which each have their own identity. The equipment layout is in some cases higher and more demanding but they are still within the capabilities of this age group. Once again the parent/carer plays a huge part within the class structure. 3yrs to school age: Children now take part on their own during the session enabling them to boost their confidence by achieving activities without parental guidance. Staff guide them to fulfil their potential. The children will further develop their motor skills, tackle tasks and enhance their skills of agility, balance, climbing and co-ordination. Within the class the children will actively participate in small groups developing listening and language skills. ✅ Don't forget to book as some classes are at or near capacity. We only ever have a max of 6 tots per coach. ⛔️ If you're preferred class is on a waiting list, pop your name down anyway. Spaces free up all the time as tots reach key milestones and move up to the next class. I know some of our tots LOVE the TT doll so here's the link to a mini version of him - www.tumbletots.co.uk/product/tt-rag-doll/. 🔹 show good control and coordination in large and small movements. 🔸 move confidently in a range of ways, safely negotiating space. 🔹 know the importance for good health, of physical exercise and a healthy diet, and talk about ways to keep healthy and safe. 🔸 listen attentively in a range of situations. 🔹 follow instructions involving several ideas or actions. 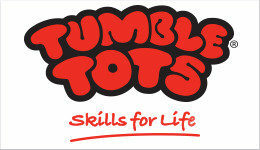 At Tumble Tots physical play is at the heart of our classes for ages 6 months to 5 years. Children learn best when they are having fun. When tots are climbing, rolling, jumping or bouncing acorss our equipment, they don't think they are learning - they are just having fun! When they are joining in our action songs, waiting to take their turn or listening to the coaches, its no big deal to them. But in every class they are learning so much that will help them for many years to come as they start their formal learning journey at school. The most important thing of all is the confidence to have a go! They can. They are a Tumble Tot. "Reading and writing is like talking on paper–the real prerequisite is developing keen language skills including listening, talking, and understanding the meaning of what is being said." Robery Myers, PhD. In our 2-3 and 3+yrs classes, our tots have to listen to a short set of instructions for each of our activity stations. They then have to understand them and remember them as they go around. In these classes too, we encourage tots to talk in our opening circle, in a group environment. That's why our seemingly random chat about what they've had for breakfast or how they got to class today, is so important. Despite modern technology, reading is the key to learning and proper brain development. Here are Dr. Myer's tips for preparing your child to learn to read. Just a little reminder that we’re off for Easter 🐣 break now. We’ll be back and raring to go with our ‘shapes’ learning focus from Wednesday 24th April 🔵◼️🔺 Have a lovely break! 🚁 Moving up into confidently walking to 2 years: the equipment is now laid out in a u-shaped circuit with more challenging activities for tots to explore at their own pace. There is lots more climbing, balancing and jumping and we also introduce co-ordination activity time. There are now two circle times which focus on body identification rhymes to help language development. 🛩 Moving up into 2-3 years: this is perhaps the biggest of the transitions as we go from child-led play to a more structured class with 4 activity stations. Tots and their adults work in small groups to visit each station where they listen to a short set of instructions from the coach before starting. The challenges ramp up as we get tots to climb higher, move backwards and sideways, and to multi-task. 🚀 Moving into 3-5 years: the format is exactly the same as the 2-3 years class except this time independence is the name of the game, as the children work just with the coaches and the other tots!